Tudors to Windsors: British Royal Portraits from Holbein to Warhol sheds new light on changing ideas of monarchy and nationhood in Britain. The exhibition features portraits of British royalty spanning 500 years, by artists from Hans Holbein and Sir Joshua Reynolds to Annie Leibovitz and Andy Warhol. Visitors have an extraordinary opportunity to come face-to-face with the fascinating figures of British royalty. Tudors to Windsors explores four royal dynasties: the House of Tudor (1485–1603), the House of Stuart (1603–1714), the House of Hanover (1714–1901), and the present-day House of Windsor. Among the many works of art on view are portraits featuring King Henry VIII, Queen Elizabeth I, King George I, Queen Victoria, Queen Elizabeth II, Princess Diana, and Prince William. For information about the illustrated exhibition catalogue, contact the MFA Shop (713.639.7360) or the Museum’s Hirsch Library (713.639.7325). • Stop by for a slice of cake inspired by royal wedding cakes of the past and present. Flavors change daily, offering options such as lemon olive-oil cake with elderflower cream; fruitcake infused with Earl Grey tea; and Victoria sponge cake. • Relax with Afternoon Tea on weekdays, Tuesday through Friday from 2 p.m. to 4 p.m. Enjoy a pot of hot tea along with sweets, a meat pie, a tea sandwich, and a scone for $11. The optional audio tour delves deeper into selected works of art, with commentary and insights from MFAH curators. Offered in both English and Spanish. Included in the ticket price, based on availability. Audio-tour players are located at the exhibition entrance​. Tickets, available online and on-site, include Museum general admission. A Tuesday/Wednesday ticket is valid for one entry on a Tuesday or Wednesday. In the event the Museum is open on a Monday holiday, tickets for that day are the same price as Tuesday/Wednesday. An Any Day ticket can be used on any day the Museum is open, during regular hours. 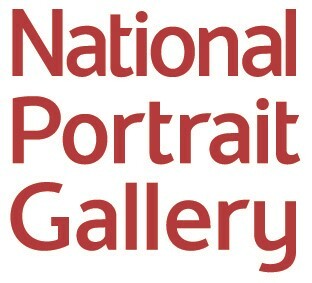 This exhibition is organized by the National Portrait Gallery, London, in collaboration with the Museum of Fine Arts, Houston.